Southern Vietnam stretches from Nha Trang in the North of the region, down to the southern tip of the country. Its most famous city is Ho Chi Minh City, the capital of the former Republic of South Vietnam, which was replaced by Hanoi, in the North of the country, as Vietnam’s capital during reunification in the mid-1970s. 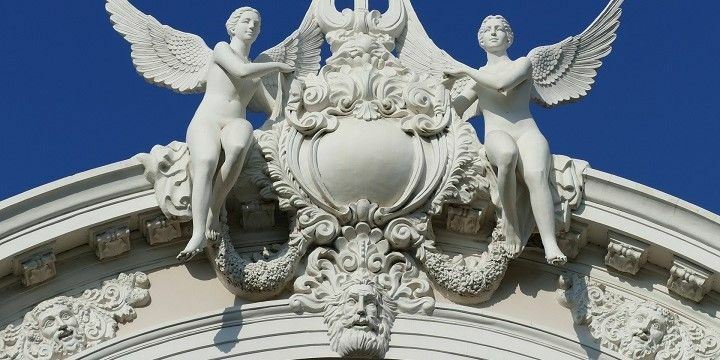 Be sure to see what the South has to offer beyond Ho Chi Minh, including fascinating architecture, bustling markets, and impressive natural beauty. Southern Vietnam’s architecture has been inspired by a number of different religions. 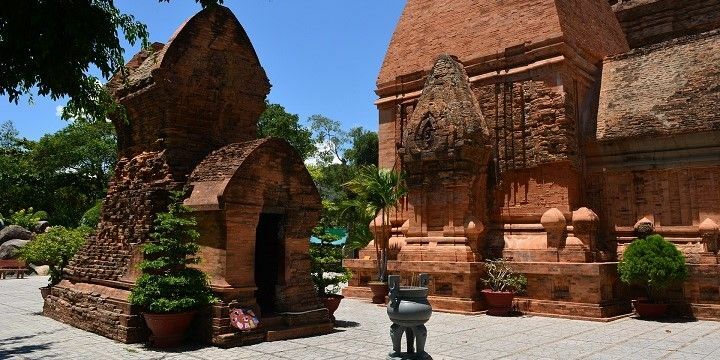 Po Nagar in Nha Trang, for example, is a selection of Hindu temples, built between the seventh and twelfth centuries. Po Nagar in Nha Trang features a selection of Hindu temples. Meanwhile, just six kilometers south of Da Lat, you’ll find Truc Lam Temple, which is still used by Buddhist monks. Climb the 60 steps to the entrance of the temple from the banks of Tuyen Lam Lake for unforgettable views over Tuyen Lam’s blue waters. Much of Ho Chi Minh City’s architecture was inspired by French buildings, as Vietnam used to be a part of French Indochina. 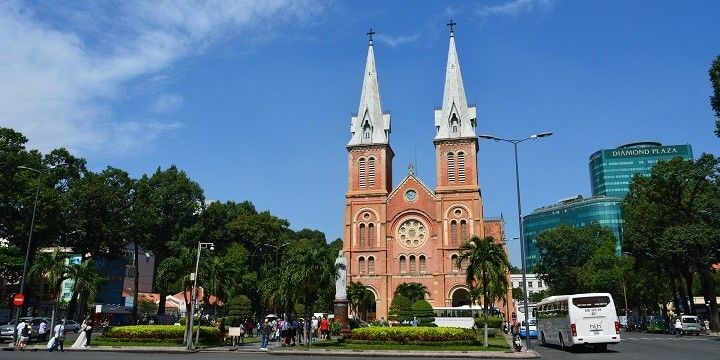 The Notre-Dame Cathedral Basilica of Saigon, for example, was established in the mid-1880s, and is still used for regular mass services today. The Notre-Dame Cathedral Basilica of Saigon reflects an European architecture style. Its red bricks are typical of the European architectural style, and it also has two impressive bell towers, which stand at around 60 meters tall. 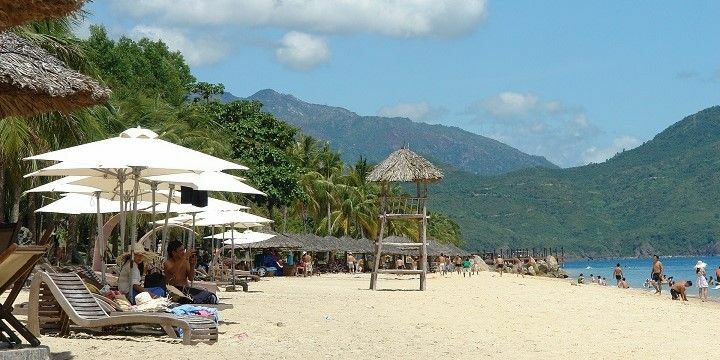 Some of Southern Vietnam’s best beaches can be found in Nha Trang. Nha Trang Beach, located in the city center, and Bai Dai Beach, which lies about 20 kilometers outside of Nha Trang, both have plenty of white sandy beaches and beautiful blue waters for visitors to enjoy. Nha Trang Beach is located in Nha Trang's city center. Mui Ne Beach, located in the Southeast of the region, is a popular spot among kite surfers, particularly between December and April. There are plenty of small restaurants, seafood stalls, and nightlife venues along the ten-kilometer-long beachfront, many of which stay open past midnight, despite Vietnam’s fairly strict nightlife laws. For a different type of sandy experience, head to Mui Ne’s Sand Dunes. 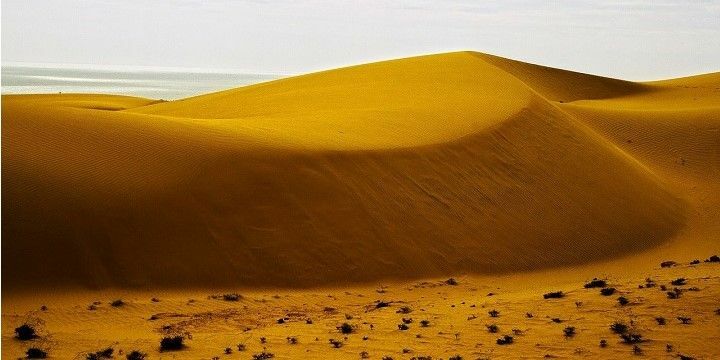 The best way to explore the white and red dunes is via jeep tour. They’re both located about 20 kilometers from the city center, so be sure to leave your accommodation early to avoid the crowds, and experience the stunning sunrise. Don’t miss out on the Fairy Stream, the small red river that connects the two types of sand dunes. The Sand Dunes in Mui Ne are best explored with a jeep. Further north, be sure to head to the Thap Ba Hot Springs, which are about a 15-minute drive from Nha Trang. Take the opportunity to relax, have a mud bath, enjoy a high-pressure natural mineral shower, and receive a back massage from a waterfall. Additional stunning waterfalls can be found around Da Lat. The Pongour Waterfalls are about 45 kilometers south of the city, but it’s worth the journey, as these 40-meter high falls are some of the quietest and cleanest in Vietnam. Southern Vietnam has a whole host of markets for locals and tourists alike. Da Lat Market is not only the city’s central food market, but is also a great spot to find handmade silk items from Vietnam, many of which are woven in the market itself. The two most popular markets in Ho Chi Minh City are the Benh Tanh and Binh Tay markets. The former is located in District 1, which is popular among backpackers. This market is often overwhelmingly busy, but if you don’t fancy pushing your way through crowds, fear not: there are about 20 food stalls outside to enjoy at your own pace. If you’re more of a high street shopper, head to Dong Khoi Street. This upmarket shopping street is home to art galleries, boutiques, and salons, and leads up to Lam Son Square, where you’ll find the city’s impressive Opera House. The Opera House in Ho Chi Minh City is an impressive building. If NextStop24 helped you to choose your next travel destination, we'd be very grateful if you’d search for your accommodation and things to do in Vietnam through these links. They're affiliate links, which means that we will receive a small commission for every booking made through them. There are no extra costs for you; you'll simply be helping to keep NextStop24 running. Thanks! Actually visited the whole country from south to north. Vietnam is such an interesting country with a wide variety of landscape, food and culture. In the north you find mountains and the famous Halong Bay - as you find your way to the south you pass by lovely places like Hue, cities with lots of history and places to explore. Recommend to try the food and get a different view on the Vietnam War or American War how it is called there. Visit the American War musem in Ho-Chi-Mingh City. People are very friendly and helpful.